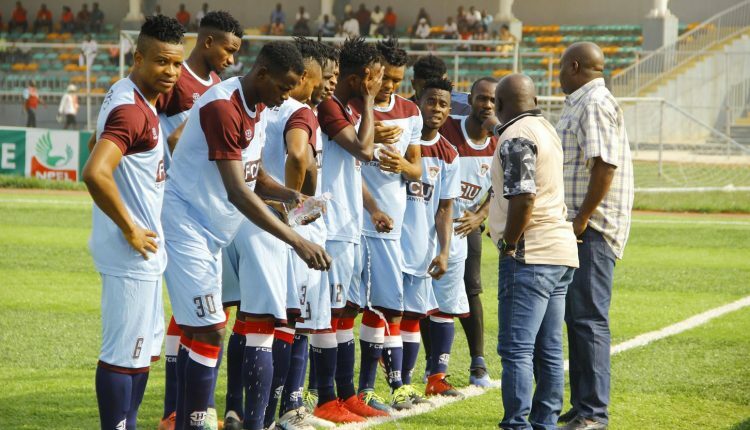 Head coach of FC Ifeanyi Ubah Uche Okagbue is optimistic his youthful team will remain consistent throughout the season following their impressive start to the 2019 Nigeria Professional Football League (NPFL) campaign. The Anambra Warriors on Sunday held Heartland to a 1-1 draw in an Oriental Derby in Okigwe to maintain top spot in Group B of the abridged league with 15 points. “You know when we started the league I told you people that this team is a work in progress,” he told journalists after the draw against Heartland. “They are a crop of young players that are ready to learn, and we just try to impart our little knowledge into them so that we can achieve what we want to achieve. With only one defeat (against Abia Warriors at home) in 8 matches, Okagbue, who was appointed head coach of FC Ifeanyi Ubah just two months ago, believes his largely young and inexperienced side will not falter in the long run. “These boys are young players, I don’t see them fagging out because we know the ingredients to give to them. We know when to tell them to rest for them to recover from stress. “You can see they are young players, and it is when you are young – in your youthfulness – that you can give out your best, Okagbue, who formerly worked with Remo Stars informed. A large chunk of their star players including Yaya Kone, Seka Pascal, and Godwin Obaje left the Nnewi-based side at the end of last season prompting speculations of a struggle for the side. But the youngsters who were promoted from the youth team and gotten from open screening have so far surprised followers of the NPFL with the brilliant performance.